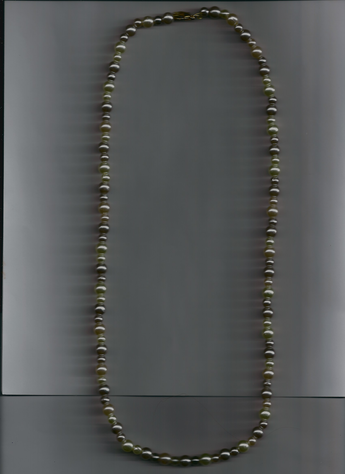 Two-tone Light Purple & Pure White faux Pearl 24-inch necklace. Pure White faux Pearl 24-inch necklace on gold-plated wire with gold-plated, easy-to-use clasp. LIGHTWEIGHT. COMFORTABLE. A MUST-HAVE FOR ANY FASHION JEWELRY COLLECTION!